How does it work? Good question. People are intrigued by what the app actually does and why they need it. Don’t worry though- whilst it is a debt collection app, your smartphone isn’t quite capable of generating you a virtual bikie to scare your customer into paying just yet! 1. What does the app do? It gives you personalised advice and recommendations on what you need to do to get paid. It also contacts your customer asking them to pay, by email and SMS, using pre-written templates. There are 8 different templates in total for you to choose from (only 1 in the Lite version), each proven to work. You can also issue an official Letter of Demand, which is created on letterhead and emailed to your customer as a PDF attachment. You can also choose to include your bank account details from your invoices, making the job of paying you the easiest thing they will do that day. It also has a section dedicated to researching new customers before they incur a debt, allowing you to run background checks on them, as well as emailing them an Engagement Form to complete. Finally, the app allows you to refer the debt to CollectMORE, the creators of the app and a highly successful debt collection agency in their own right. 2. What sort of debts does it collect? The app will attempt to collect any debt, of any amount, however outstanding invoices are its primary target. It can however also collect refunds, reimbursements, personal loans from friends and family, etc. If you have an amount due and some contact details for the person or entity who owes it to you, you can use the app. 3. Does the data I enter into the app remain private? Absolutely. The information you provide the app is not stored or transmitted anywhere. Details of previous debts are kept in the app, however this is solely for your purposes. If you do choose to refer the debt to CollectMORE for recovery, we are emailed the details of the debt from within the app, however this information remains strictly confidential whilst we analyse it for feasibility. 4. How does it actually get me paid though? Whilst the app is an incredible product, it obviously cannot guarantee that your money will be recovered. What you can be sure of however is that the techniques and methods you will learn have been proven to work, and the creator of the app has personally collected over $50 million dollars using these exact same methods. The app will analyse the data you input, and provide you with your own personal action plan, along with contacting your customer for you, asking them to pay. 5. How many times has it been downloaded and how much has it recovered? The original CollectMORE app was downloaded over 2000 times and CollectMORE 2.0 has almost 9000 current users. This figure continues to increase daily. As of March 2019, the iPhone version sits in the Top 100 Business iTunes charts. As for how much it has collected, this is impossible to know as the app doesn’t provide us with recovery data, however from adding up amounts users have told us it has collected for them, this figure is over $2.7 million dollars. 6. Clearly the target market of the app are sole traders and small businesses. How big a problem is getting paid for these people? Currently in Australia, small businesses are owed a combined $26 billion dollars. The problem has reached epidemic levels and sadly there is no end in sight. These small business owners are often so heavily invested in keeping the customer happy, they are petrified of asking for their money and would much rather avoid confrontation by letting an unpaid invoice slide rather than risk losing the customer. The app is brilliant because not only does it tell them exactly what to do to get paid, it contacts the customer for them, whilst teaching them methods and techniques to avoid it happening again. 7. I am owed money- at what point should I use the app? 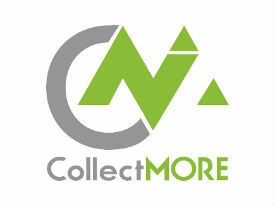 The CollectMORE app is designed to be used as soon as an invoice or debt becomes overdue. Some people use it after 7 days, others 14, others the very next day. The 8 templates are all different, with differing urgency and underlying tones. They range from a very friendly reminder, to a stern demand, and even an olive branch, perfect for reaching out to those customers who may be doing it tough. 8. What are the differences between the Lite and Full version of the app? There are a couple of major differences between both versions. The Lite version has only 1 template which can be texted and emailed to your customer. The full version has 8 templates, plus a Letter of Demand. The Lite version also doesn’t include the Research a New Customer section. Everything else however is the same across both versions, and users of the Lite version can upgrade to the full version at any time from within the app. 9. It all sounds wonderful, but what’s the catch? How does CollectMORE make money from the app? There are two versions of the CollectMORE app- a $7.99 full version and a free Lite version. Revenue is generated through sales of the full version, along with commission earned from debts we collect that have been referred to us from within the app. At last count, commission we have earned because of our app is well over $100,000 so it is a very lucrative product for our business. 10. I am in. Downloading now. What is your goal for the app and do you think you will achieve it? Our first goal is 1 million downloads, and yes, we will absolutely achieve this. By that stage, the app will have a global presence and be available in every country in the world. Debt continues to be a universal problem, and we plan on releasing country-specific versions of the app which will help users collect debts in their relevant currency. Click on your App Store of choice to download CollectMORE 2.0 and GET PAID TODAY!